Flush with the revenue from my recent employ as a manual labourer (the last thing I expected to be doing at this advanced age, but you never know where life is gonna take you), I found myself walking by the mighty Cheap Thrills, one of the indie record stores still standing in Montreal, and was unable to resist going in and buying a few albums. 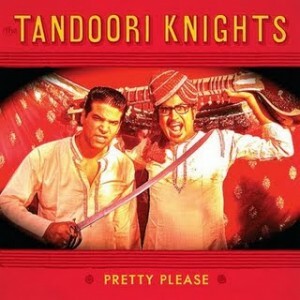 Right now I’m listening to Tandoori Knights, a cheeky but catchy pastiche of faux-Indian rock ‘n’ roll devised by King Khan and Bloodshot Bill. Pretty great stuff. I won’t say what the others are until I’ve had a chance to give them a solid listen or two, but I have been trying to get back into buying albums lately, and the results have been decidedly mixed. Like almost everyone else, my album purchases have drastically declined in recent years. I never did too much “illegal” downloading (in quotes because of the implied moral judgement, which I’m on the fence about, as well as the fact that it’s not actually illegal in Canada… look it up), but I did exchange a lot of mix tapes and CDs with people—that was my main way of consuming (and sharing) music for a good few years. For a while, I had a policy that if I heard two or more good tunes (whether it was on the radio, downloaded, or from someone’s mix) by a certain artist, I’d support that artist by buying their album. But lately I’ve been finding that all too often when I do that, it’s only those few tunes I liked that are actually good, with the rest of the album consisting of shameless filler. I love a great album as much as the next person, but I think all the bellyaching about the form’s “death” overlooks the fact that so many albums, today and in the past, are padded out with a bunch of mediocrity just to fill a length of time that’s fundamentally arbitrary. Not to mention the fact that the long-form album has only existed for a momentary blip on the radar of musical history. I don’t want to make any sweeping statements that I’ll later regret, but I am seriously considering making the (soon-to-be-released!) WP album (all killer no filler, needless to say!) the last one. Not the last release or the last recordings, but the last time I’ll strive to fit into this nebulous album form. Stick to the EPs and singles… better for the kids these days’ attention spans, anyway. And to my fellow artists… if you want people to keep buying albums… consider making ’em better! Previous Previous post: La Roux, New Moo: Who Knew?